Our customers come to us for a wide range of plastic and reconstructive surgery, and many have financial issues making it difficult for them to get back their self-esteem. We don’t want any of our customers to have to avoid a surgical procedure because of an inability to pay. Part of our charter is to provide exceptional customer service in all phases of our business. Because of this, we want to offer great financing options to make it easier for our patients to obtain the surgery they want or need. One option is the CareCredit® card, a credit card used for health care services only. Once approved, a customer can come to us and determine the cost of their procedure. CareCredit® offers flexible finance terms, and in many cases customers can qualify for no-interest promotional features. These promotions allow a customer to pay off their balance ahead of schedule with absolutely no interest charged against their loan balance. Simply being able to make regular payments instead of having to pay a full balance can make a world of difference when choosing a plastic surgery office. Contact us today for information, or check out carecredit.com for information. Another option for our customers is Prosper Healthcare Financing. This process is a bit different, because Prosper transfers the full amount of your approved loan to you immediately. You can pay for our procedure, then pay back the loan to Prosper using their agreed terms and payout dates. You might think of this as a cash advance rather than a credit card. Click here for more information. Either way, you can have the financing you need to complete your procedure at Palisade Plastic Surgery. Remember that you are establishing credit in both cases, so your personal and credit information will be reviewed. 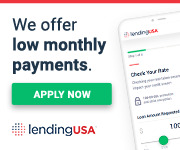 Regular payments are required to avoid late charges, and accrued interest can be charged if a no-interest loan is not paid off in full by its due date. Please contact us here at Palisade Plastic Surgery, your New Jersey plastic surgeons, if you have any questions about our financing programs. Our plastic surgery staff looks forward to serving you as a lifelong customer.